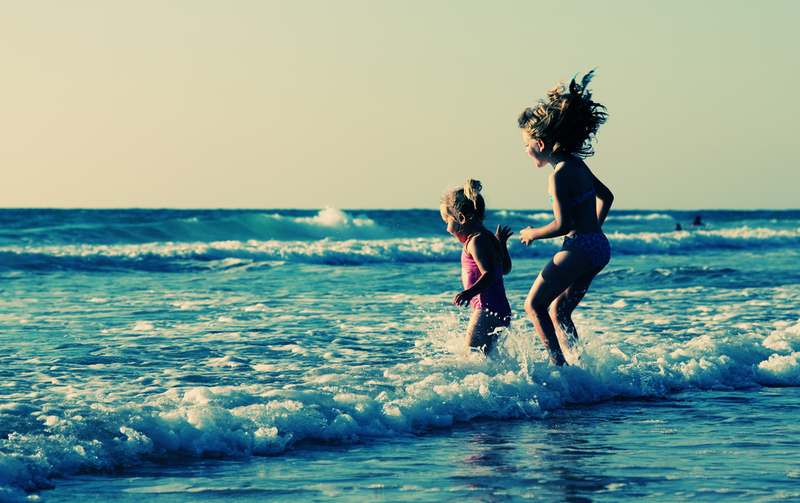 Every year you look forward to the family vacation, and you want to go to a place everyone can have a good time. Here are some ideas of the 10 things to do with kids in Jamaica beyond leaping in the surf or building sandcastles, although that’s pretty cool too! There are two zoos in Jamaica, Hope Zoo in Kingston and Jamaica Zoo in Santa Cruz, St. Elizabeth. But there are other animal adventures to be had. Board a boat and glide along as you learn on the Black River Safari, or pin down the right technique of how to hold a crocodile at the Safari Swamp Village. Play with dolphins, sharks, iguanas and birds at Dolphin Cove or get camel savvy at Yaaman Adventure Park. Maybe enjoy a day simply feeding the birds at the Rocklands Bird Sanctuary or Barney’s Hummingbird Garden. WataLand and Kool Runnings offer other adventurous activities like canoe rides, and go kart racing as well as paintball and laser tag. 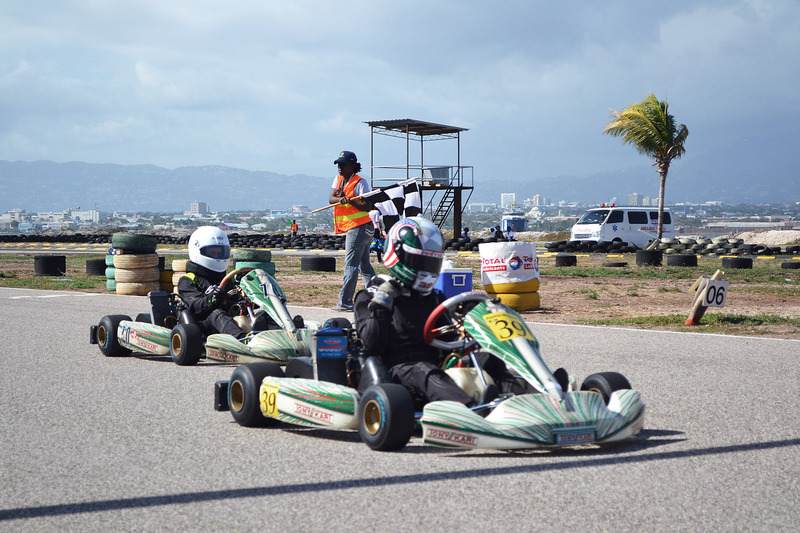 Other places to try out these fun activities are Paintball Jamaica in Falmouth, and Palisadoes GoKart Track and Sun Coast Adventures in Kingston, which also offers a ton of other activities. A lot of tour companies offer family friendly activities like horseback riding, tubing, kayaking and more. 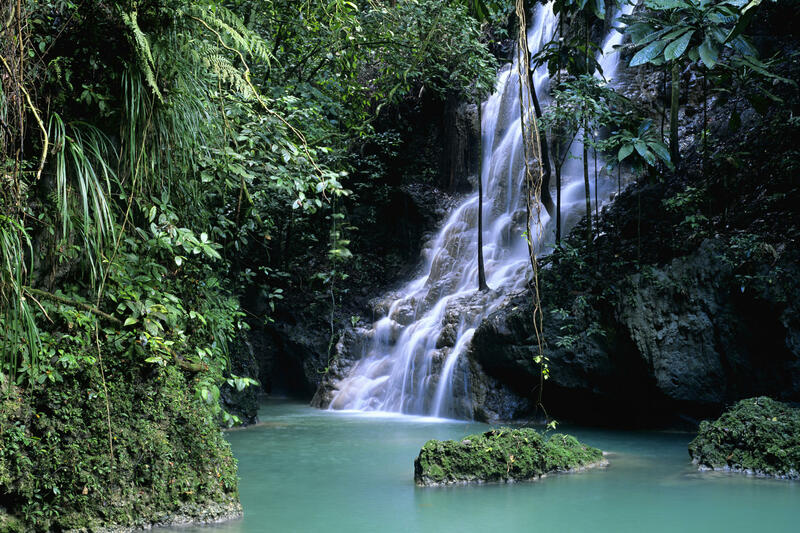 Jamaica is a great place for day hikes. Even hiking Blue Mountain Peak in Jamaica isn’t a long trek. Many of the National Parks and gardens offer a wealth of opportunities for a family day out in the great outdoors. Hollywell up in the cool hills above Kingston, is a nice option for a family picnic, so are Castleton Gardens just a little beyond the capital city. Hope Botanical Gardens are right in the heart of the city. Roaring River Park and Montego Bay Marine Park offer excursions where kids can learn about culture and marine life respectively. Places like Anthenry Gardens is also the site of Nonsuch Caves, one of many cave sites where kids can explore the wonders of nature underground. Combine the fun of the water park along with the adventure of exploring nature and head to one of the many rivers and waterfalls that helped create the name of the island, ‘Xaymaca’ meaning ‘land of wood and water’. Whether the family is climbing hand in hand up the famous Dunns River Falls, or heading up river on a picnic tour to small cascades in the heart of Black River or maybe leaping from a rope swing into one of the famous Blue Hole sites across Jamaica. Nature has created some fantastic aquatic playgrounds for kids on the island. 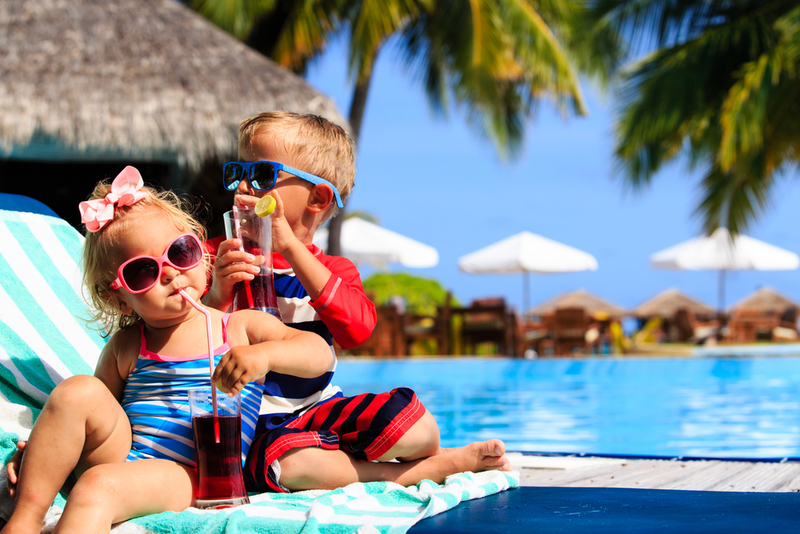 Many all-inclusive family friendly hotels have shows for kids, but beyond the resorts there are shows for Jamaican kids that tourists could have a great time attending. Jamaican Musical Theatre Company in Kingston puts on a musical every January and February, while Edna Manley also mounts a children’s show for a couple weekends around Easter. Father Ho Lung mounts a biblical themed story every year, usually the stories that are most popular with kids. 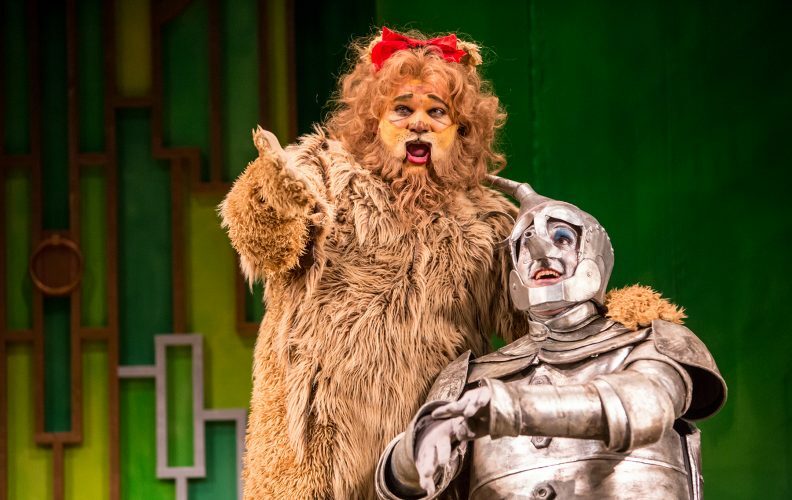 They are well attended by schools who often buy out the entire show, but some nights are set aside for the general public. The JCDC Festival every year has Jamaican children from all over the island entering to compete in dance, poetry, drama and music. Attending the festival allows children visiting the island to not only mix and mingle with local kids but also to get an introduction to some traditional favourite forms of Jamaican culture. Almost every hotel on the shore has some form of kid friendly water activity beyond swimming in the clear water and diving in the waves. The all-inclusives have more of course, with individual sailing and even SCUBA certification, but even the smaller spots usually offer the simpler pleasures like snorkelling equipment and have access to tours on a glass bottom boat. Other adventures in the sea await, like SNUBA in Montego Bay or if they can stay up past their usual bedtime, take them on a magical adventure of a night time boat ride in the luminescence of Glistening Waters. There are many Great Houses dotting the island and are a great living walk through the past for children. Some, like Good Hope also have lots of kids’ activities on the property. For brave kids, the Rose Hall Great House offers a spooky story adventure. 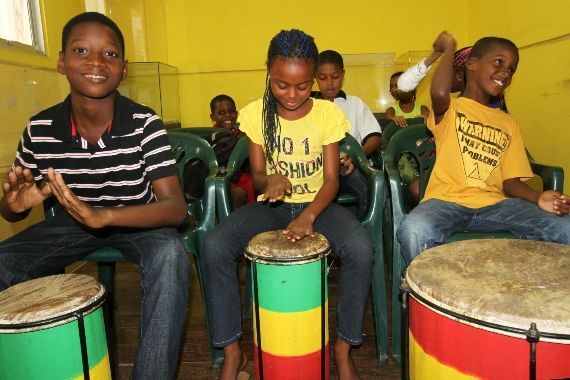 Museums like the Bob Marley Museum and the Jamaica Music Museum take your kids on a tour of our musical past while galleries like the National Gallery and the National History Museum will take them on a journey through our art and our past. Jamaica is filled with creativity, with art, sculpture and other artistic expressions everywhere you look. Why not let your kids explore their own artistic side and see what the island inspires in them. Quite a few all-inclusives have kids’ programmes which include arts and crafts. Places like GoldenEye and Jakes have notable craft programmes and there are places like Pinto Pottery in Falmouth and Sanaa Studios in Kingston, that have classes that your older kids might enjoy. Head out with the kids to one of the many markets in each town. Not just the craft markets where everything from unique art to manufactured goods in the traditional Rasta and Jamaican colours adorn every square inch, but also the fruit and vegetable ones as well. The bustling Ujima Farmer’s Market in downtown Kingston is a different vibe from Coronation Market. Newmarket, in the hills of St. Elizabeth, Black River and Santa Cruz are other big markets, but almost any town will have its own. The markets are at the centre of the lives of thousands of Jamaicans, who buy, sell and socialise in them each week. This is a great opportunity for a highly interactive and unique Jamaican experience for your kids as they get caught up in the sights, smells and sounds of the vibrant local shopping adventure. 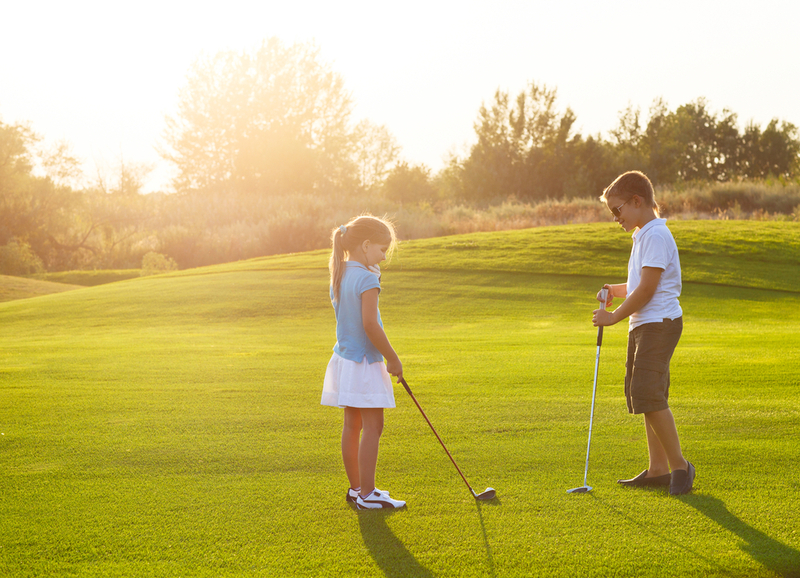 Many hotels offer classes and lessons of some kind, and many golf courses and clubs have clinics and beginner lessons. Sure the kids are on vacation, but there’s nothing stopping them from learning something cool outside of school.